This year my New Year's resolution is to learn a new language. Tom makes a resolution to give up smoking every year; he never does it though! Last year Karen made a New Year's resolution to take up running; now she's really fit and this year her resolution is to run a marathon. 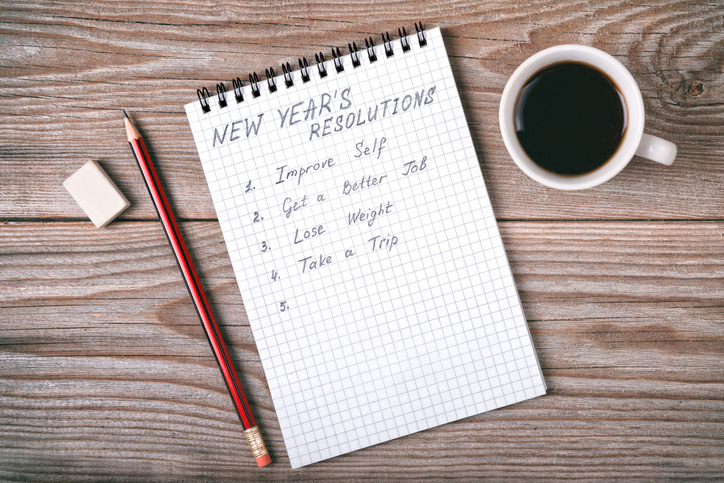 A lot of people choose health and fitness goals—like losing weight or taking up regular exercise—as their resolutions. Other people like to set themselves an educational objective or challenge themselves to try something new or travel to a new place. A resolution can be anything you want it to be. Not everyone keeps their resolutions, but research shows people are more likely to keep them if they tell others what goal they have set themselves. What’s your resolution? Here is Scottish Indie Band Camera Obscura singing the song ‘New Year’s Resolution’ from their 2013 album Desire Lines. Resolution has several other meanings, you can check out the full definition to see them all. Resolution dates back to the 14th century, and comes directly from the Latin resolutionem (meaning ‘the process of reducing things to a simpler form’), but it wasn’t used to mean a promise to yourself until the late 18th century. This time, to celebrate the New Year, we decided to talk about the origin of the idea of New Year’s resolutions, rather than just the word. There are many examples in history of various peoples making vows or promises at the beginning of the year, such as the Babylonians, who would promise to pay back their debts and return anything they had borrowed, or the Romans who would make promises to the god Janus. There are also parallels in other religions, such as watch night services in some Christian churches where people pray and make resolutions for the year ahead, or the Jewish New Year tradition of a month of self-reflection leading up to Rosh Hashanah (the Jewish New Year) and continuing for another ten days until Yom Kippur (the Day of Atonement). The idea across all secular and religious traditions seems to be to take stock of the year that has gone and think about what you would like to change or to do next in the year ahead.